As part of our run up to v7 of Veeam Backup & Replication, we’re announcing a number of new features that will be part of this big release. The latest announcement expands on a v6 feature that solved a big problem for many organizations, you won’t believe what we have in store here! This new feature centers on self-service for virtualized environments. On demand self-service is one of the key tenets of any public, private, or hybrid cloud. The point is that if a user can service their own needs there will be greater efficiency, greater satisfaction for the user, and less cost to the business. Everybody wins! So how does this apply to the world of modern data protection? The answer, in two words, is 1-Click Restore. Since version 6, 1-Click Restore has made it easy for users to recover lost or corrupted files. In version 7, we’re extending 1-Click Restore to include self-service recovery of individual VMs! 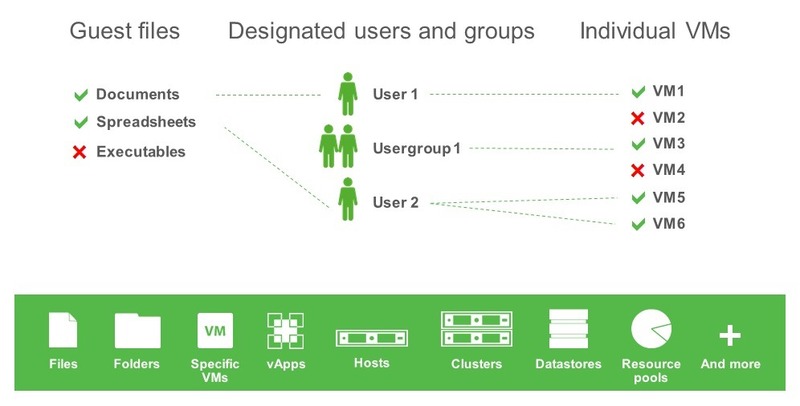 Veeam Backup & Replication includes a bonus tool called the Enterprise Manager which is installed and runs in conjunction with your IIS web services to provide, among other things, on demand self-service capabilities for authorized users to search for, and then, with a single click, restore files – and soon VMs - from within your backups. The really cool thing is that this is all done from a web based interface that provides visibility of your entire virtual and backup infrastructures. Probably the best part of this new feature is the flexibility it brings. Not only is it available for both VMware and Hyper-V environments; but it also works with all of the different constructs of your virtualized infrastructure. That’s important when it comes to specifying which VMs a user or group of users can perform recovery tasks on. These constructs include clusters, hosts, data stores, vApps, and more; much like the constructs you can use in creating a backup job. In fact, my peer Rick Vanover gets really excited about this aspect of data protection. Check out his post from last year, VM Backups: Forget Me Not! Enhanced 1-Click Restore is just one of the many features planned for Veeam Backup & Replication v7. 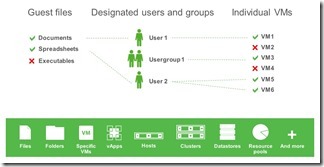 You can stay on top of the latest news related to version 7 at: http://go.veeam.com/v7.